Gosh, my fan-friend Jack just told me I haven’t written a blog in a month! Oh no! So much has happened. Let’s see. 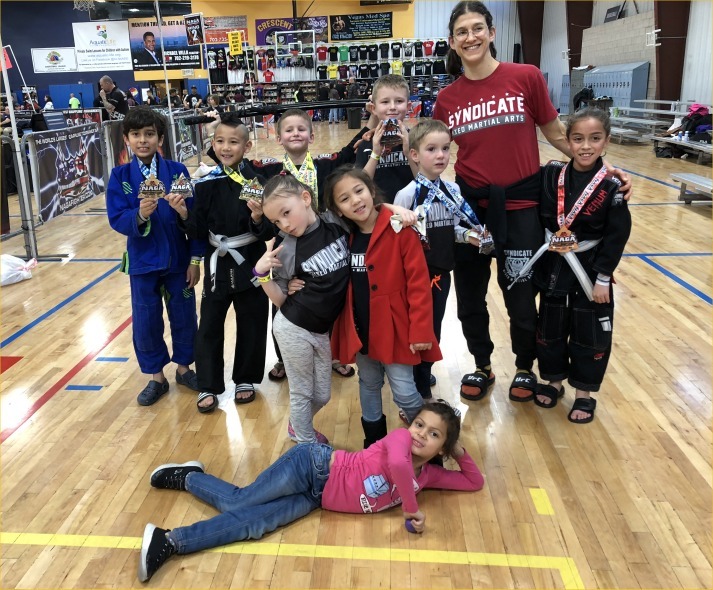 Manjit Kolekar came out to train with us! She planned for a few months, but after a few days at Syndicate, said she wanted to stay six month! Whoa! 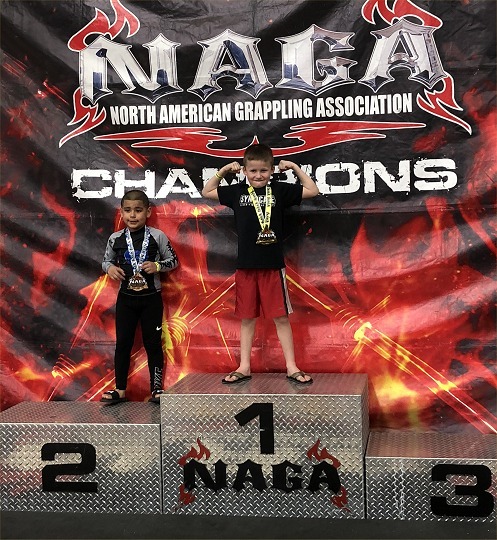 This past weekend my students competed at the NAGA (North American Grappling Association) tournament, and all placed! I’m so proud of their growth and accomplishments! Everybody placed and got firsts, seconds, and thirds! Kyani and Ayden…. 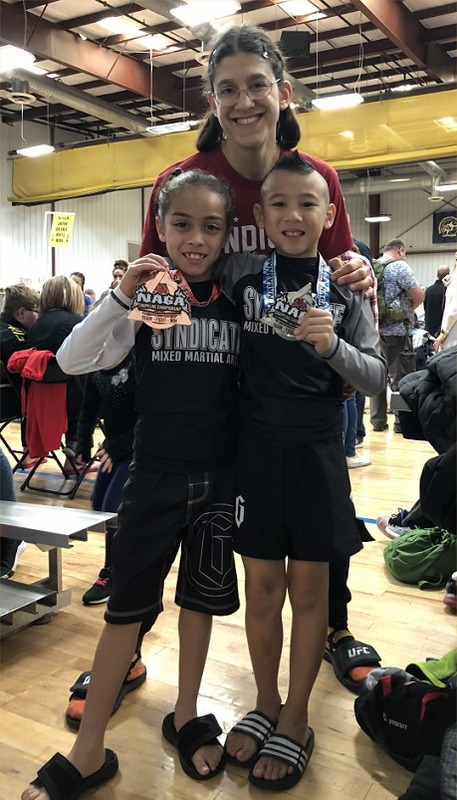 jiujitsu teammates who became good buddies! I adore these two Ukranian kids Artem and Illia! They’re some of my hardest working, toughest students! They’re some of my longest students, as well. 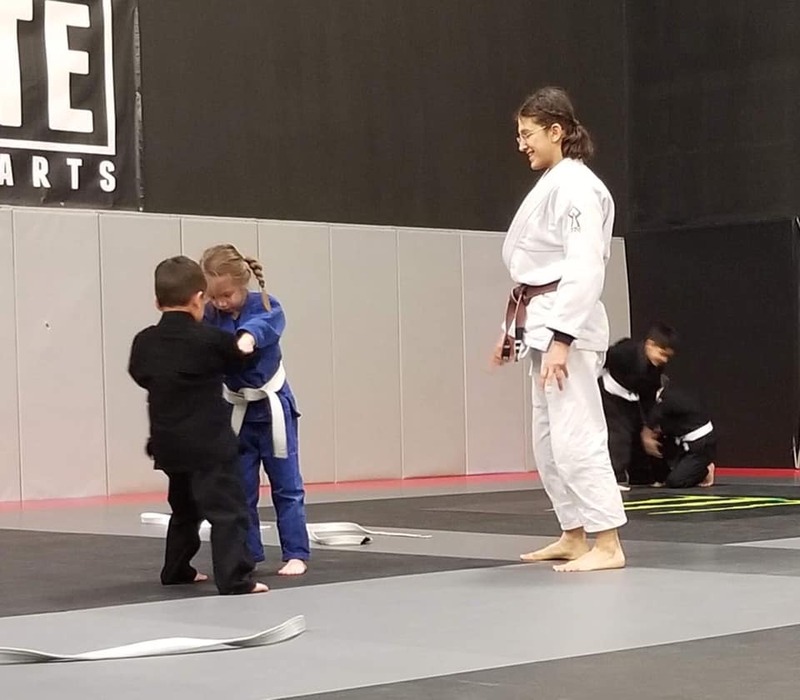 I taught their first classes and here they are, tearing it up as gray-white belts. By watching their mistakes at the tournament, I know what to teach them next. Thomas has a history! 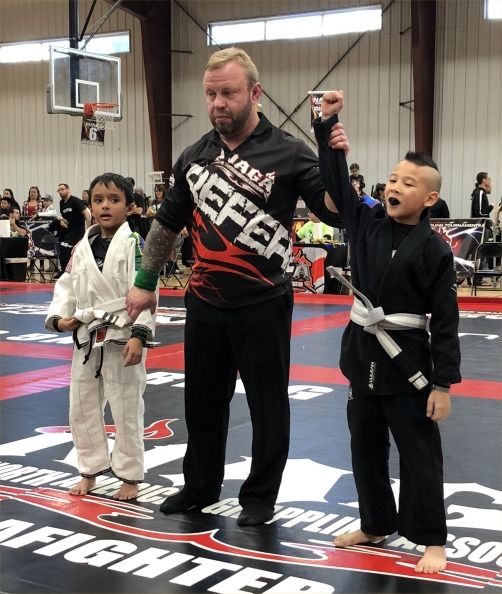 I remember begging his father to let him quit jiujitsu because he didn’t seem motivated. Now, three years later, he scrambles the hardest out of everybody. Just seeing him going for the submission makes me so happy beyond words. He wanted to win so badly that he started crying when there were 20 seconds left and he knew he was losing. He ended up taking second place, but I’m so proud of his effort now. That’s all I want: effort. I adore this picture so much because it is such a contrast how he used to be, just getting mounted and laying there not caring or crying and not trying. 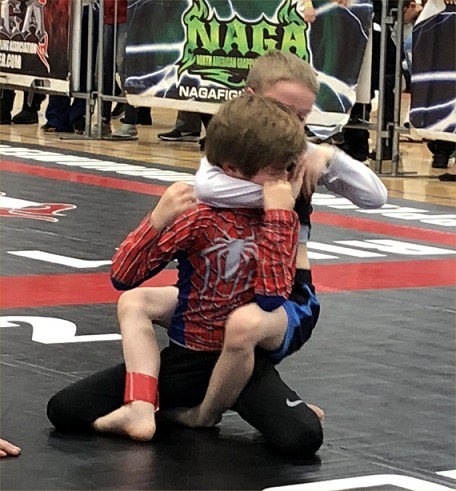 He’s face-cranking this kid in the Spider-man rash guard so hard, trying for the choke. He didn’t get it but won by decision. Artem fought like eight times. 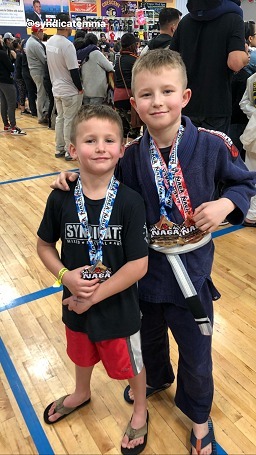 He was in two divisions (gi and no-gi) and then the staff kept asking if he’d do exhibition matches for other kids of different wights and skills who had nobody in their division, so Adam and I kept saying “sure sure sure” for him. LOL He won most of them. BEAST! 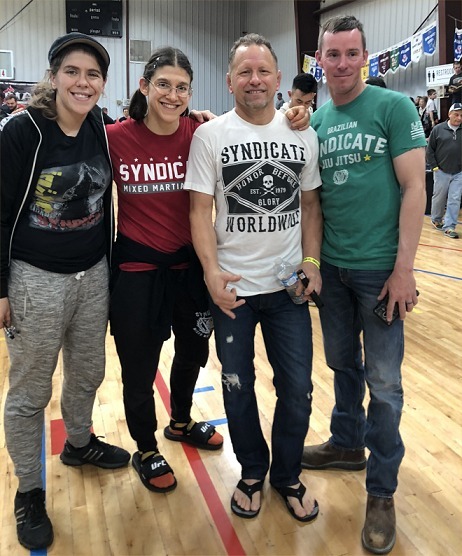 Serena, myself, leader of the big kids class Rick “The Flying Squirrel” Davis, and wrestling specialist Adam Starr (Thomas’ father) went and coached!  Go Team Syndicate! 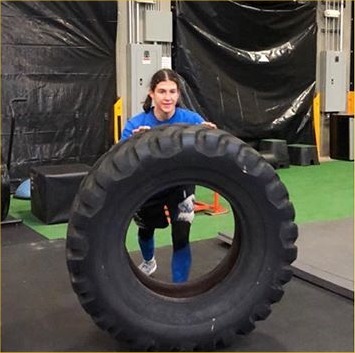 Let’s see, what else… JoJo is back to training, after taking some time to heal up after her fight. It’s great to have her challenging me again! 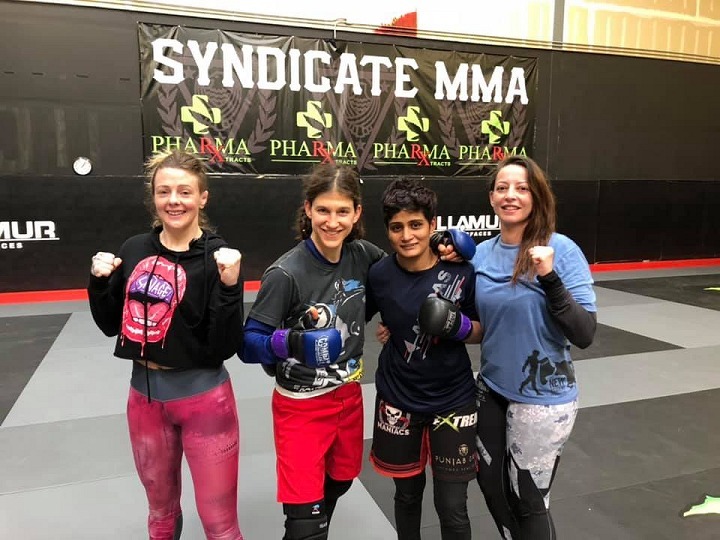 And training with friends is fun! I miss training with Serena! Her injury is healing well, so in a month or so she should be able to resume training! YAY!!! 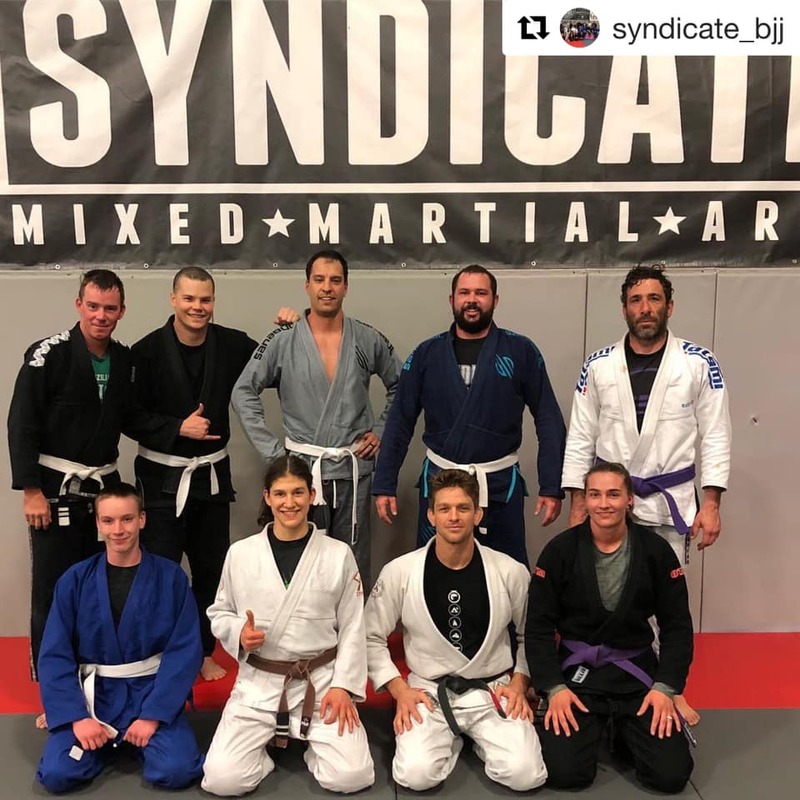 I’ve been trying really hard to support the BJJ team at Syndicate! I’ve been learning so much from Mike. I love that he teaches classes, but I’m going to keep doing private lessons with him when I can. 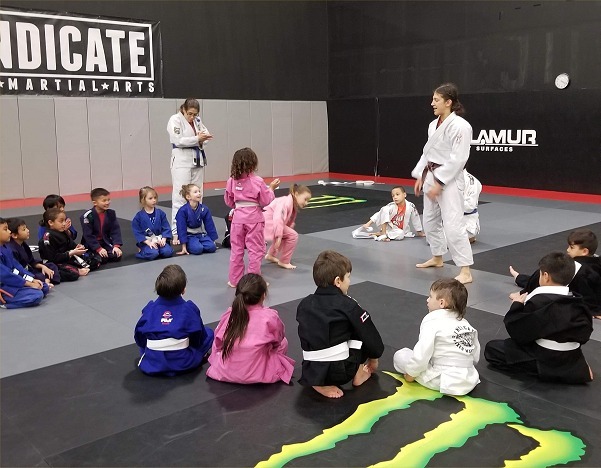 My kids classes are going SO well. I have an average of 20 kids each class. I love them and they love me. I think of them as my children for an hour. I’m so thankful Serena and Jeslen assist me because I can’t help everybody at once. Unlike adults, if a kid is confused they leave their assigned spot and come GET me and tell me they are confused. 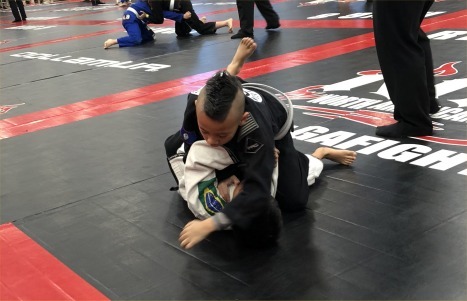 So I’m confronted by multiple kids tugging on me, in the middle of helping a set of partners. Yeah, I need Serena and Jeslen. And somebody DREW ME in my She-ra costume! How cool!  I’ve been making major improvements in all aspects of my game: striking, wrestling, jiujitsu, and strength! I don’t consider myself an athlete. 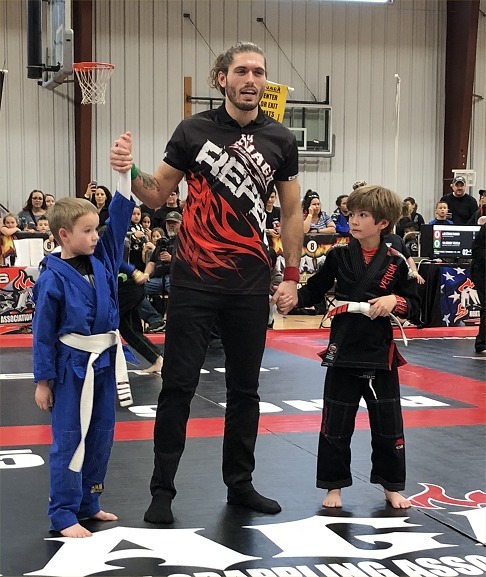 I consider myself a martial artist who gets paid for fighting. It’s actually funny what people call us. 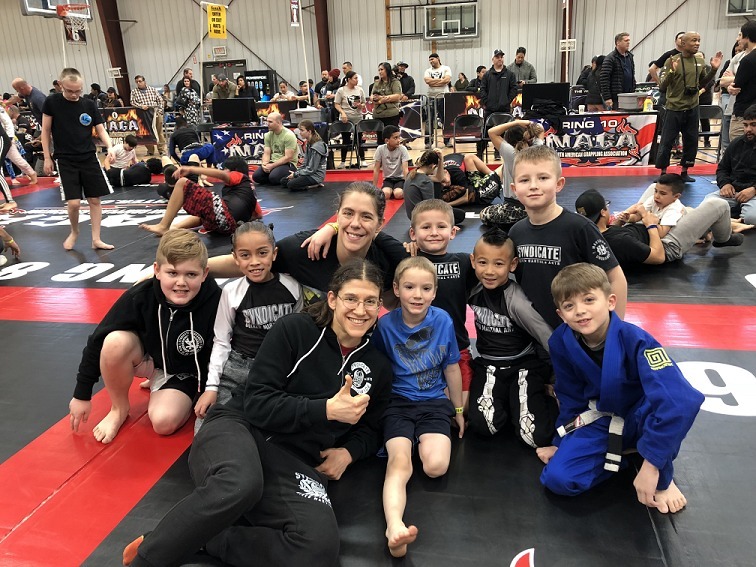 Dana White calls us “fighters.” Trainers call us “Athletes.” Actually, Shannon Knapp was the first person to refer to us as “my Invicta Athlete.” It actually made me stop and think, “Wait, I’m an ‘athlete?’ HAHA no I’m not! Am I?” That’s still developing, I guess. When I first started fighting, the names were all messed up for the weights. 135 was middle weight. Then it was lightweight. 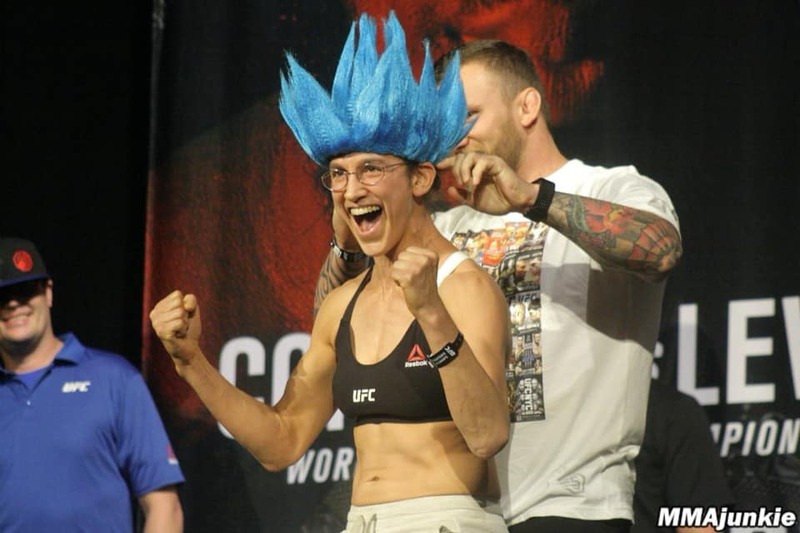 Finally like 7-ish years ago, it started to be called bantamweight. Three years ago I couldn’t pick up bob the grappling dummy heavy bag at all. Then I started to be able to hoist it over my shoulder if I picked it up vertically, and then did an extra bounce and hoist with my legs and arms. Now I can just bend over, and come up with it and throw it up on my shoulder like nothing. I couldn’t deadlift at ALL three years ago. I couldn’t flip tires. This tire was hard. Now it’s easy. I’m bench pressing it so quickly. Lorenzo had to stand in it and pressure it down to make it heavier to challenge me. Two weeks ago I did 170lbs dead lifts. Last week I did 200 lbs. 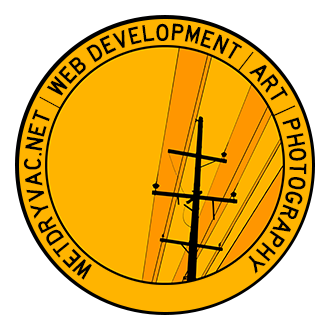 I’m not boasting my numbers because I decided that numbers don’t really matter. 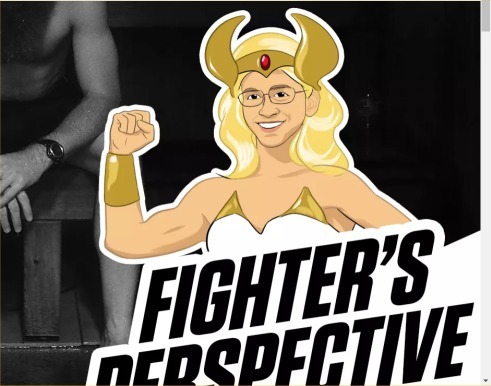 It doesn’t matter how much I can lift if I can’t win fights. I’ve never written any of that down because it wasn’t important to me for that reason, and I told Lorenzo that. Lorenzo keeps track of that. My Power Level cannot be measured by scientific instruments! It’s over nine thousaaaaaaaaaand!!! Check this classic Dragon Ball Z clip out! 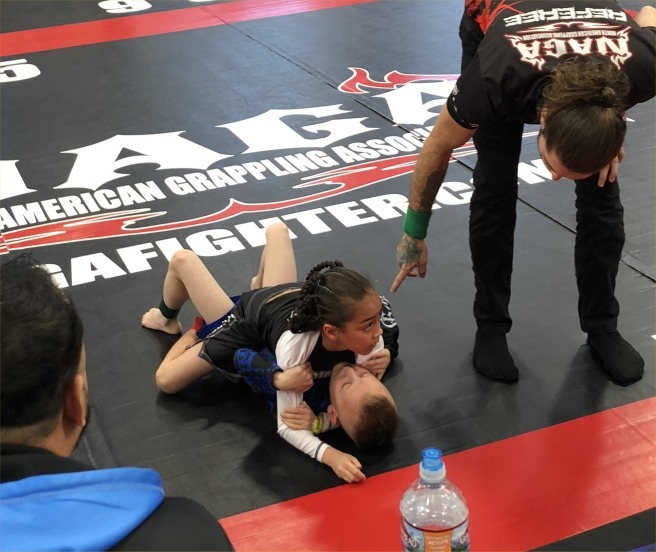 PreviousPrevious post:Cornering adventures for JoJo who won her UFC fight! 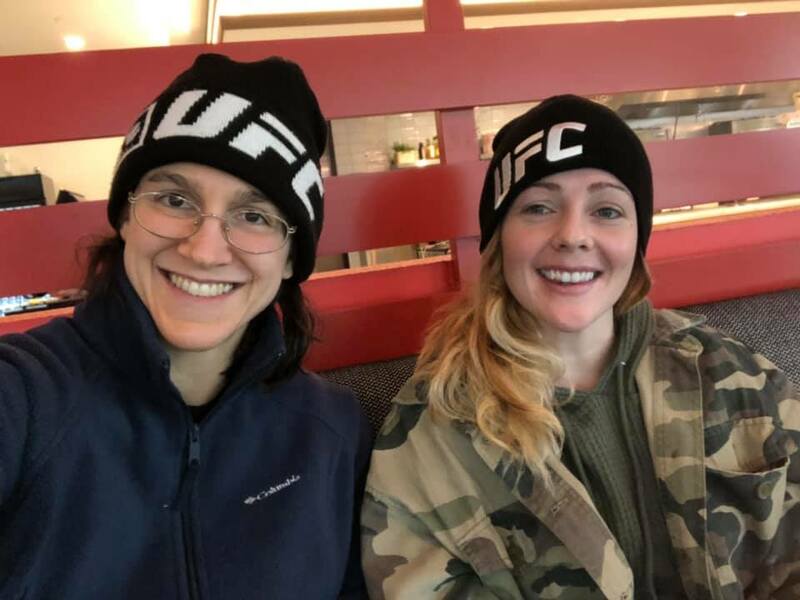 My trip to NY, The Fun BusNextNext post:My next fight announcement! My uncle passed away. Meerkatsu! Tuff-N-Uff!